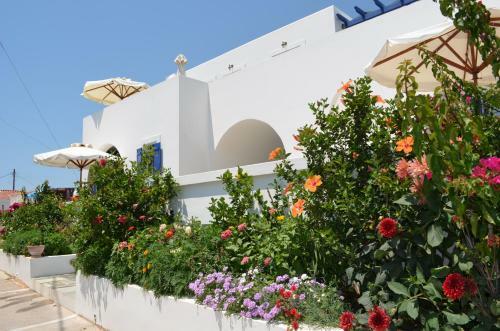 Maryianni Apartments is located near the beach in Avlemonas, Kythira. The hotel offers to its guests garden. The property accommodates visitors in studio, family room, 1 bedroom apartment, honeymoon suite and other might be available upon request. Room amenities include a/c, heating and more. The WiFi available at the hotel room is free. Pets are allowed on request and subject to extra charge.